Q: Is "Amadeus" based on a book? 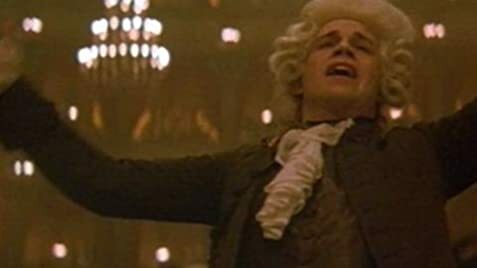 When the two worlds of Antonio Salieri and Wolfgang Amadeus Mozart collide in Milos Forman's Amadeus, it is anything but a symphony. As the court composer of the Emperor of Austria, all Salieri desires are fame and recognition as a composer; it is all he had wanted his whole life. When he learns that Mozart, whose name he had known as long as he can remember, is going to come to the court to play, Salieri cannot wait to meet the outstanding and righteous man that he knows he must be. However, when Salieri learns that Mozart is a young, crude, and unrefined young man, endowed with all the talent and ability that he ever wanted and strived for, it plants a seed of jealousy that soon grows into bitter resentment and hatred, not only for Mozart, but also towards God. Salieri's desire to get rid of him is seemingly boundless as he plots and schemes for Mozart's demise. 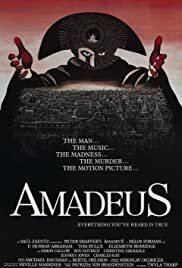 It is no wonder why Amadeus won eight Academy Awards, including Best Picture, with 5-Star performances by F. Murry Abraham as Antonio Salieri and Tom Hulce as Mozart. Amadeus is an emotionally charged and tragic piece, a story of the life of one of the world's most famous composers, as seen through the eyes of his worst enemy. 74 of 109 people found this review helpful. Was this review helpful to you?